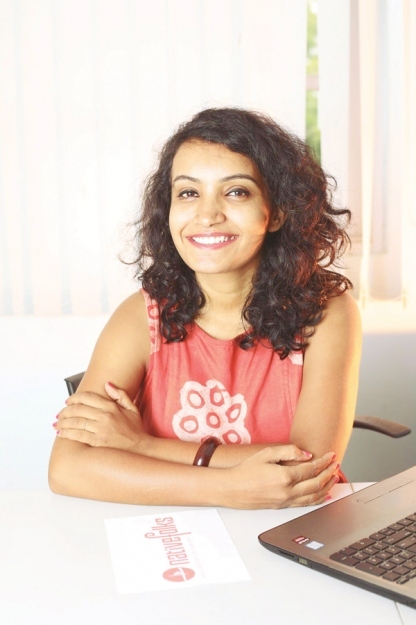 Goa has recently seen a spurt in the start up sector, particularly among the ladies who are leading their business and ensuring that the impact to the society is felt by their presence. Nativefolks offers ‘rural experiences for urban hearts’. It is dedicated to connecting culturally sensitive travellers to culturally rich rural communities. This initiative looks forward to tread the path of a cultural entrepreneurship, unique to each community. Its ultimate aim is to open up alternate livelihood opportunities for locals, create more exposure to local arts, heritage and culture and in turn rejuvenate the local economy. So far Nativefolks has operations in Goa, Orissa, Kerala, Tamil Nadu and its services range from homestays, customised experiences to travel packages in countryside locations. Nativefolks has also recently launched their new initiative, ‘Solkadi’, which is a humble endeavour to preserve the local culture and its authentic recipes. While setting-up home-stays and rural experiences with various local communities, they discovered many traditional, healthy and mouth-watering Goan dishes. Travellers in Goa are increasingly looking for 2-3 hour experiences that allow them to know the other side of Goa. This offering is also meaningful for those who have recently moved to Goa. Proud hosts get to showcase their legacy and it also provides them with an alternate source of income, which in turn boosts the local economy. For a traveller visiting someone’s home, bonding over food and stories creates powerful travel memories to take back home. Sevarat provides timely, reliable and professional services to meet every single need of the elderly. Diagnostics, outdoor assistance, home care, home nursing, physiotherapy, counseling and healthcare products are provided to these members. The members enjoy the flexibility to use these services customized as per each person's need. Sevarat caretakers and nurses are well trained, well groomed, dedicated and trustworthy. She added that it was especially important for the government, banks and other agencies to look at women entrepreneurship beyond the archaic stereotypes of papad, pickles and fabrics. Women have been leaders in technology, finance, services and even manufacturing, so also Goa has the potential to produce women entrepreneurs in every sector. “I have witnessed a lot of drive to encourage entrepreneurship in the State and its time to nurture these businesses and make them fit to compete with others in the national and international scene. We cannot let the ‘Susegad Goan’ myth deter us from conquering the world,” added Ms Gonsalves. Founder of Body Speaks Better, Kanan Tandi runs a body language and expressions reading and decoding training firm based in Goa. They have courses designed specific courses for school/ college students, working professionals, women (homemakers, working), top management and security. The latest courses added to the basket is, how to identify the true intention of a person.